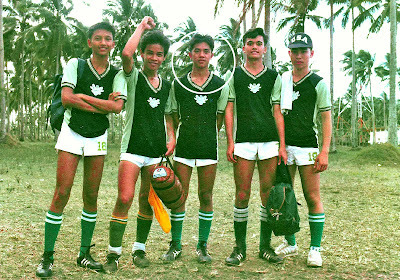 Gary Gardoce (middle) with the football varsity team. Picture taken in 1984. Not that I was ever in the fortune telling industry, but sometimes I could tell from working with the boys who played under me day in and day out which of them would one day make something of themselves. It was in the way they expressed themselves; particularly in relation to the hard work that came part and parcel of the game. There were, naturally, the slackers who would take the easy way out given the opportunity. That said, the majority were those whose work ethic was like a crystal ball that gave the strongest clue about what they would become later in their lives. Back in 1983, I began a long and colourful career as a high school football coach. I inherited a team that was made up mostly of juniors from the previous coach, who had left to make a life for himself elsewhere. Among these juniors was a pint-sized player who was the son of the school’s former basketball coach. His name was Gary Gardoce. At the Alaska Cup 2005. Still playing football. He was by no means the most naturally-gifted player of the squad. What he brought to the team, however, was boundless enthusiasm, a superb work ethic and a never-say-die attitude. For such a small player, he had a surprisingly powerful engine and could run all day long. Despite his size – or lack of it – he also did not shy away from tackles and battled hard to regain possession back for his team. 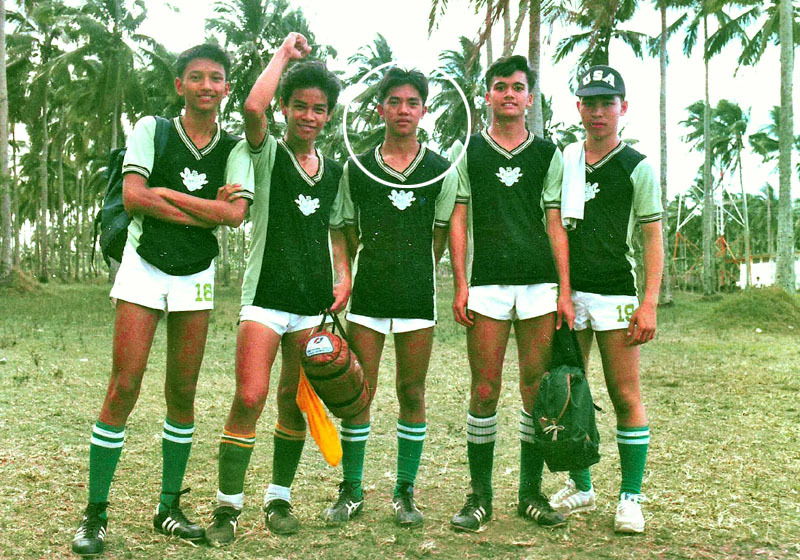 After graduation, he and a team-mate – defender Fernando “Gitoy” Silva – followed my footsteps and became varsity players for DLSU - Manila. The difference, though, was that the university was already in the UAAP. I had played in the NCAA, instead. After graduation, Gary found work in an advertising agency called Unitel. Like most people, he was doing odd jobs first but eventually learned and became more proficient in digital cinematography. He was still with Unitel when I asked him to do the school’s first professionally-commissioned promotional film. Let us just say that I obtained his services for what is called a “former coach” price; a mere fraction of the price that an advertising agency quoted to do the same. With the College varsity football team, Alaska Cup 2005. I and my staff worked closely with Gary and a couple of his friends to produce this video which we eventually called “La Salle Ka Na… Sa Lipa Ha!” Even then, what impressed me was the speed with which Gary would grasp a scene that I wanted and the way he and his small group worked efficiently with existing light. Eventually, Gary left Unitel to go freelance. I did not realize it at the time; but eventually it dawned upon me that there was more to be had by going freelance – particularly since he was going into the movies with his craft. I was not really following Gary’s career. If I got any communication from him at all, it was in most probability a text message in the middle of the night complaining about the way Liverpool FC was playing in a live match that he instinctively knew I would also be watching. Sometimes, I would bump into him in football festivals that my teams joined. The football was in his blood; and it was something he dared not let go of. Eventually, I did learn that he was already directing photography for some big budgeted movies. I had written before that I was never really enamoured with local movies. I found the themes frequently shallow, the sound dubbing bad and the cinematography unnaturally dark. I did get myself a VCD copy of “And I Love You So” just because I had been told that Gary directed the photography. For those who do not know, this movie was a 2009 release directed by Laurenti M. Dyogi and starred Bea Alonzo, Sam Milby and Derek Ramsay. Watching the movie, I was getting goose bumps for all the wrong reasons – I never was a fan of the genre. However, I thought Gary’s angles and lighting were superb. Cinematography-wise, it was like watching a Hollywood-produced movie. In fact, that movie re-introduced me to Filipino films. These, perhaps, still lag behind foreign-made movies in terms of plot twists; but the technical improvements have made them watch-able at the very least. The independently-produced movies, in particular, are in a class on their own. Among Gary’s other projects are: “A Love Story,” a 2007 release directed by Maryo J. de los Reyes and starring Maricel Soriano, Aga Muhlach and Angelica Panganiban; “Enteng Kabisote 4: Okay Ka Fairy Ko… The Beginning of the Legend,” another 2007 release starring Vic Sotto, Joey de Leon and Kristine Hermosa; “Dobol Trobol: Lets Get Redi 2 Rambol!” a 2008 film directed by Tony Y. Reyes starring Dolphy, Vic Sotto and Carmi Martin; “I’ll Be There,” a 2010 film directed by Maryo J. de los Reyes and starring Gabby Concepcion, KC Concepcion and Jericho Rosales; and “Rekrut,” an independently-produced film directed by Danny Añonuevo and starring Archie Adamos. This year, among Gary’s projects were: “Bulong,” a horror-comedy film by Chito S. Roño and starring Vhong Navarro and Angelica Panganiban; and “Temptation Island,” a movie by Chris Martinez starring, among others, Marian Rivera and Rufa Mae Quinto. Gary also directed several episodes of the TV series “Mana Pô,” produced by ABS-CBN. As a youngster playing under me, Gary hated skipping training and, above all, hated not playing well. It was a superb work ethic for somebody so young. He was never one to draw attention to himself; always the team player and always the support cast. Yet, he revelled in the successes of his team. I suppose he simply brought these traits to his chosen career. That he excels behind the camera rather than in front of it does not surprise me at all. It is so Gary. Yet, the enthusiasm he continues to bring to football fields for as long as his legs can run are also evident in the quality of the work that he does for the film industry, where he has found expression aside from his beloved game. Success is never gauged on the basis of the stellar performance of one person alone – be in on the field or in front of a movie camera – but rather in the end result of either a victory or a great movie. In this regard, Gary has few equals because he has always thrived in not only being unheralded but also in being indispensable.